Valentine’s Day. A day of hearts and flowers, love and kindness, and too much chocolate. Also a day when you’re expected to be organized, fun, and prepared. But Valentine’s Day has no extra time, no changes of schedule, and no real reason for existing (besides to make people spend money!) If it were a holiday, with time off, I might be more excited about celebrating with my family. According to Wikipedia, the popular account of Saint Valentine states he was placed in prison for marrying soldiers who were forbidden to marry. While he was imprisoned he apparently healed the daughter of the jailer, and signed his farewell letter to her (before he was executed) “Your Valentine.” Not sure that’s a mega happy story, but you can read more about Valentine’s Day on Wiki here. When my kids were in daycare we always got cute crafty gifts from them on Valentine’s Day. As a mom with no extra storage space, most of those crafts have gone the way of the recycling bin, but they are always super sweet to get. Now that the kids are older it’s hit-or-miss whether they bring anything home. This makes me feel like I could skip “doing” Valentine’s day, besides helping the girls write out 20 Valentines each to hand out to their class. But, I still want to be a “fun” mom, so I like trying to do something for these non-holidays. I know, if you don’t do the Elf, this doesn’t help you. But my kids love Elfie Sparkle, and she spends most of the year tucked up on the shelf in my closet, so bringing her out here and there (sometimes with a note from Santa) keeps the magic alive all year. I search out templates or images online related to Elf on the Shelf and “holiday name” and either save them, then upload to Canva and create my own “letter”, or just print out something ready-made and leave it on the table for them in the morning. A Valentine’s Day Twist: find 2 leftover candy canes and lay them in the shape of a heart at the child’s place at the table. Related: Elf on the Shelf – How Many Years Will This Go On? Who else loves these little guys? What kid doesn’t like candy? My girls love candy, but they are still working on the last dregs of their Halloween treats. If you have bits of candy left from that overwhelming haul, pull out a few pieces and leave them at their place. 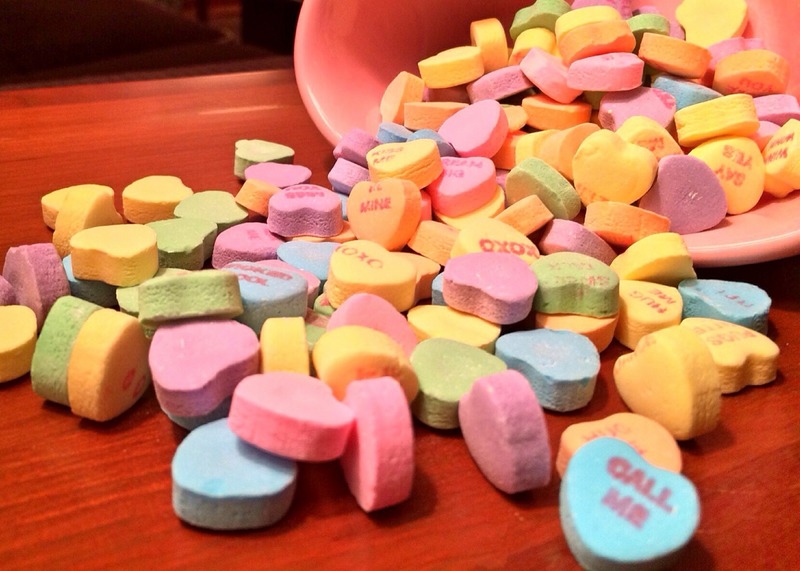 A Valentine’s Day Twist: If they ask if it’s Halloween candy, go ahead and say Yes, but then let them eat it for breakfast! If you don’t have candy left over (from Halloween or Christmas) go somewhere like Bulk Barn – or any store at this time of year really – and get them something you know they will like. Get them one higher quality chocolate or candy, so when they decide they don’t want it, you can sneak eat it at another time. Sometimes my kids even offer me a piece, which is amazing! In my opinion, the easiest heart-shaped fun dinner is pancakes. All you need is your favourite recipe and either a mould to pour the batter into, or the freehand skill to cut them after they’re cooked. You can also cut bread for heart shaped toast or sandwiches. (I’d use a cookie cutter for this one.) I’m sure there are a million ideas on Pinterest, but I haven’t yet jumped over there to check them out. Kimberly from The Rantings of a Drama Queen’s Mum: We really don’t do much on Valentine’s Day. It’s in the middle of the week this year too. I’ll probably make a special dinner & maybe have a glass of wine. We got my 10 year old daughter a few presents. We also have a bunch of Valentine decorations that we put out. I’m thinking of doing a You tube video or me decorating for Valentine’s day. I decorate our mantel in the living room. 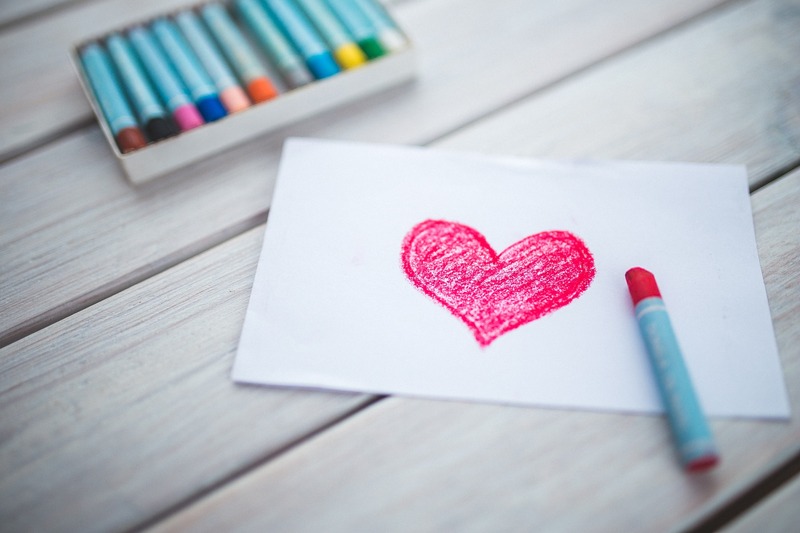 Natasha from OMG Parenting: Leave fun notes for loved ones on heart shaped paper in surprise places. 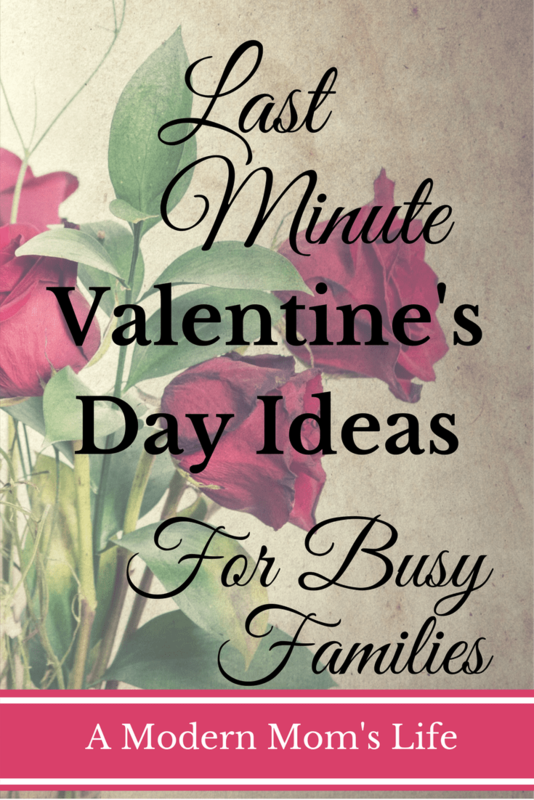 Caitlin from Snuggleosophy has a budget friendly post with some Valentine’s Ideas in it. Check it out here. Let me know what you do to celebrate on Valentine’s Day. (It’s okay if it’s elaborate and totally inappropriate to fit into my busy life. I still want to hear about it!) Maybe your comments will inspire me to plan further ahead next year! That’s my kind of Valentine’s Day! We don’t do actual gifts, just sometimes chocolate treats. Good luck with your heart shaped pancakes! We don’t really celebrate Valentines Day as it’s also my husbands birthday and I think that’s far more important, plus I don’t go in for all the commercialisation of it. We prefer to do something special for each other whenever the mood takes us throughout the year rather than putting all the pressure on one day. That being said there are some great kids crafts out there and I love the idea of heart shaped pancakes for breakfast and maybe some heart shaped cookies for treats. I agree Alana – my hubby’s bday is St Patrick’s Day! And yes, way too much commercialization. But the kids all do Valentine’s at school so I try to something small at home too. Ooh, a chocolate fountain! That sounds like a lot of fun. Only one of my girls likes fruit – but maybe that would encourage her to eat more! Love your ideas especially an easy, heart shaped, dinner. Thanks Veronica! I hope I can follow some of my own advice and ideas this year! Ha ha Jenny! Valentine’s Day really isn’t a big deal here, but they do celebrate it at school so we try to do something interesting. We don’t do anything – my hubby and me. I usually just get something small for the girls. Sometimes Patrick and I will go out to dinner at some other time and call it our Valentine’s Day outing. But no gifts or any of that stuff.